Looking for managed security services ROI? A key value of any reputable Managed Security Service Provider (MSSP) is its ability to maintain a team of security professionals possessing an array of credentials and experience in the various aspects of protecting your business. 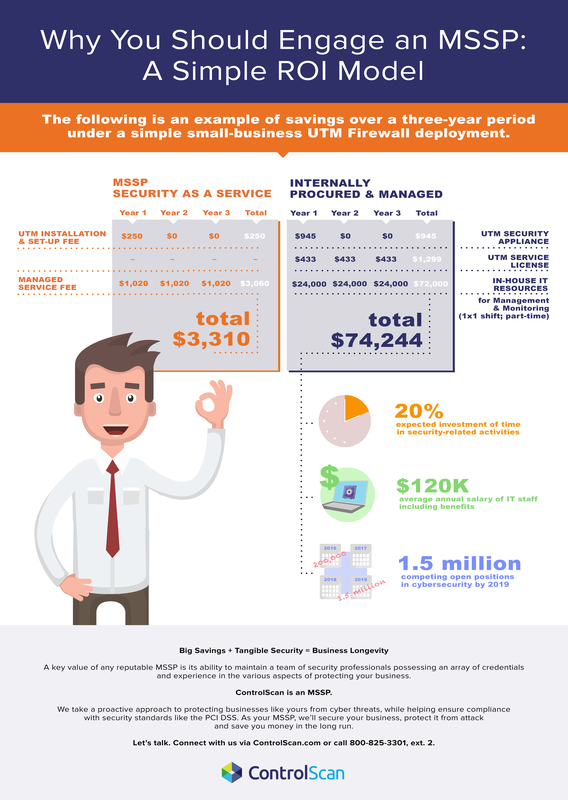 The ControlScan Managed Security Services ROI infographic is an example of savings over a three-year period of a simple small-business UTM Firewall deployment by an MSSP. The savings just might surprise you.